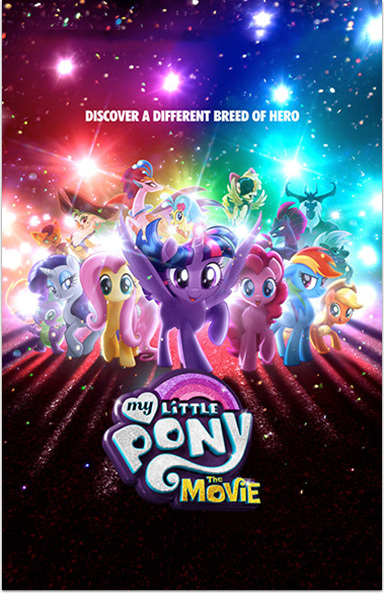 My Little Pony: The Movie © 2018 Lions Gate Entertainment Inc. Artwork & Supplementary Materials © 2018 Hasbro. All Rights Reserved. MY LITTLE PONY and all related characters are trademarks of Hasbro and are used with permission. EPIX® is a registered trademark of EPIX Entertainment LLC.